You know I am in love with any kind of dinner that is easy, tasty, and not too bad for you. 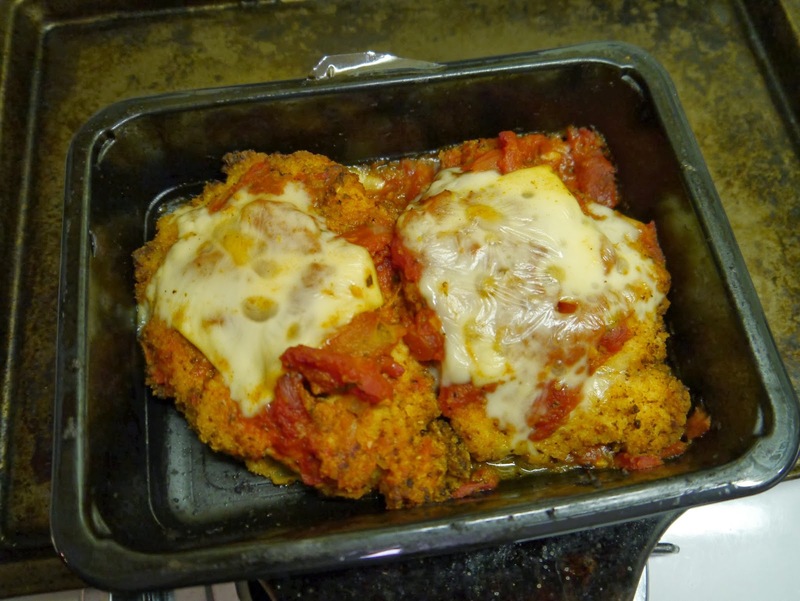 so I decided to try their Chicken Parmigiana. 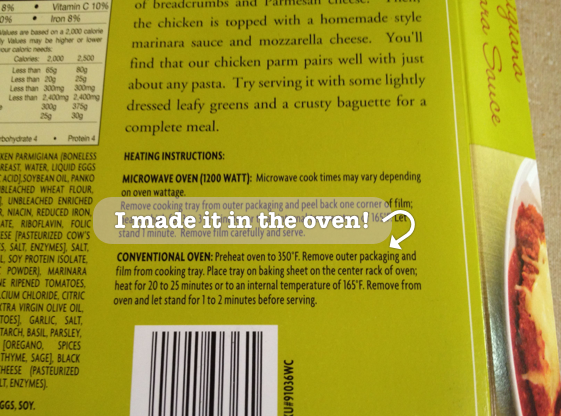 I choose to make it in the oven. You are able to microwave it, but I had the time and I wanted the chicken to crisp up, so I baked it in the oven for about 20 minutes. This is what the chicken looked like right out of the oven! The cheese was all bubbly and the chicken was super crispy! I need pasta with my chicken parmigiana. I am surprised it only came with the meat and the sauce, but the good thing is pasta is very cheap and you are able to choose what kind of pasta you would like! The chicken only took about 20 minutes. I had to wait for the pasta to be done! But, it was a good thing because it allowed the meat to rest before plating. I realize now that I should have showed the salad I had, too. I always feel like you need at least a little veggie to make it a complete meal. Meat, pasta, and cheese is not enough! Did it look like the photo on the packaging when you were done? It looked even better! My cheese was very bubbly and the chicken breast was a lot thicker than shown in the photo. Were the instructions easy to follow? Yes. I went for the oven preparation. All you need is a cookie sheet to set the plastic tray on. What did you particularly like or dislike about the meal? 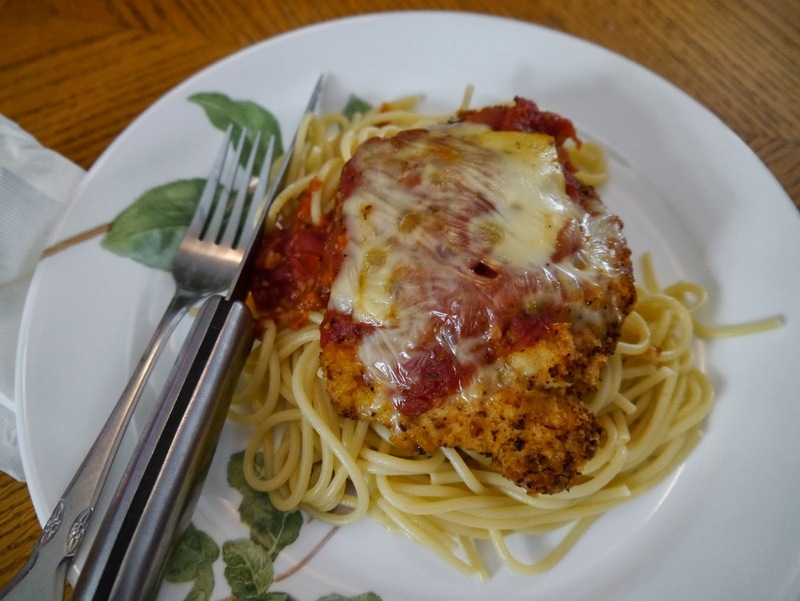 I liked the flavor of the seasonings and the chicken was lean, but it is a bummer that you need to add pasta and a veggie to complete the meal. Recipe alterations or any changes you made: I did not alter the recipe, but I added pasta and a salad to make the dinner complete. Would you make it again? Oh definitely! 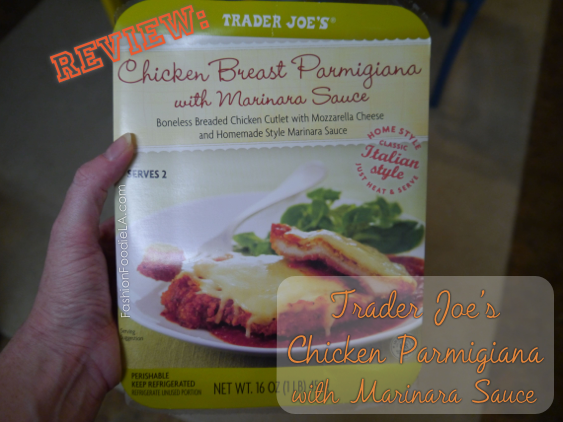 The chicken breasts were super crispy and the marinara sauce had good flavor. 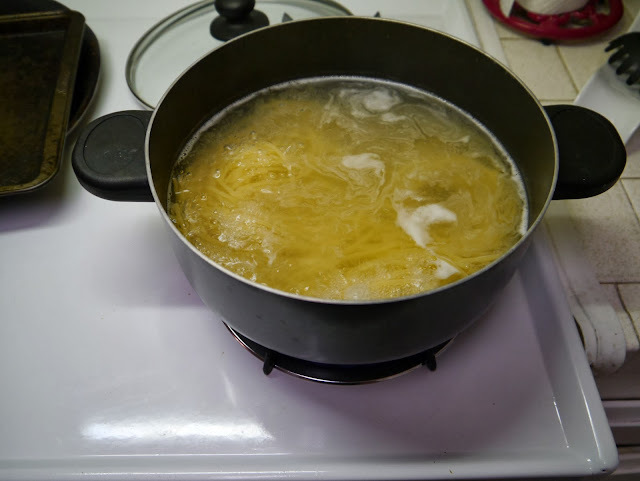 Boil some water for the pasta and get a salad together and you have a complete dinner in about 20 minutes! Would you recommend it to others? Oh yes! 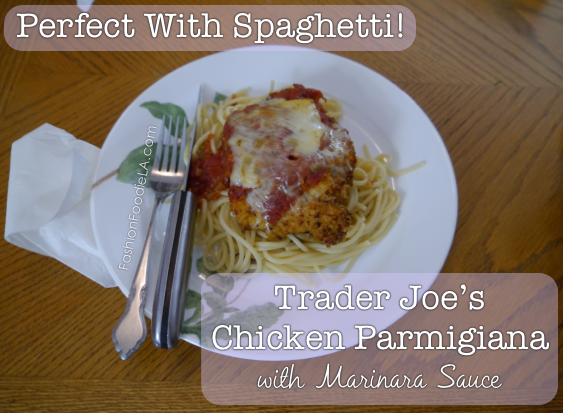 Delicious, fast, easy - exactly the kind of dinner I am looking for at the end of a long day! What should I review next? Let me know down below! 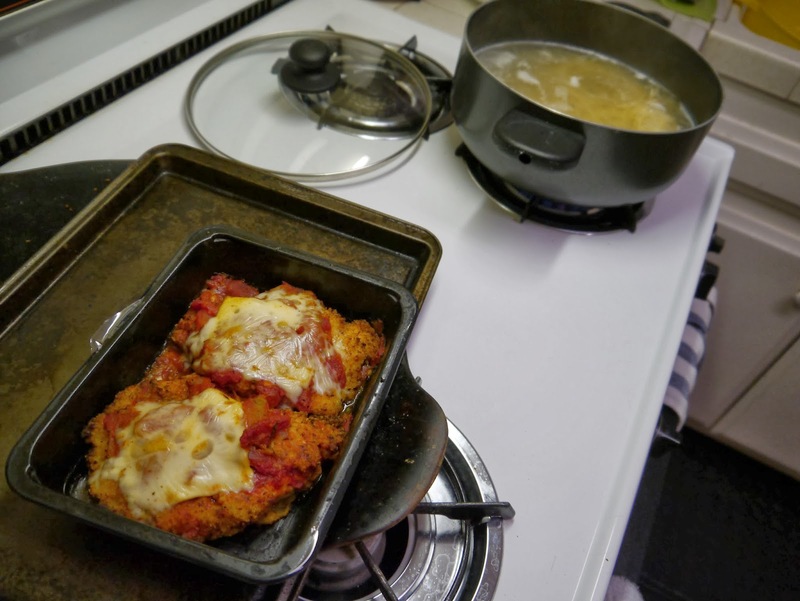 Have you tried the Chicken Parmigiana? What did you think? Also, let me know if you have had a tray meltdown in the oven. Blaze Pizza - A New Pizzeria!